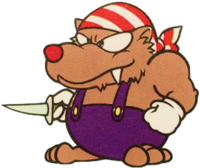 Gaugau are aggressive, wolf-like, bandana-clad creatures featured in the Wario Land series. They are chunky in appearance and bear canine or rodent-like traits. They are members of the Black Sugar Gang, and are often found in the vicinity of other members, such as D.D. and Guragura. Their usual method of attacking is by throwing various projectiles at Wario. In Wario Land: Super Mario Land 3, Gaugau make their first appearance in Course No. 3 in Rice Beach of Kitchen Island. They wield throwing knives for battle, which they will toss at Wario when he gets in range. When Wario gets hit, he will regress to Small Wario, or lose a life. When the knife hits a wall, it will stick there for a moment and then disappear. Wario can jump on it and use it as a stepping stone while it is still there. 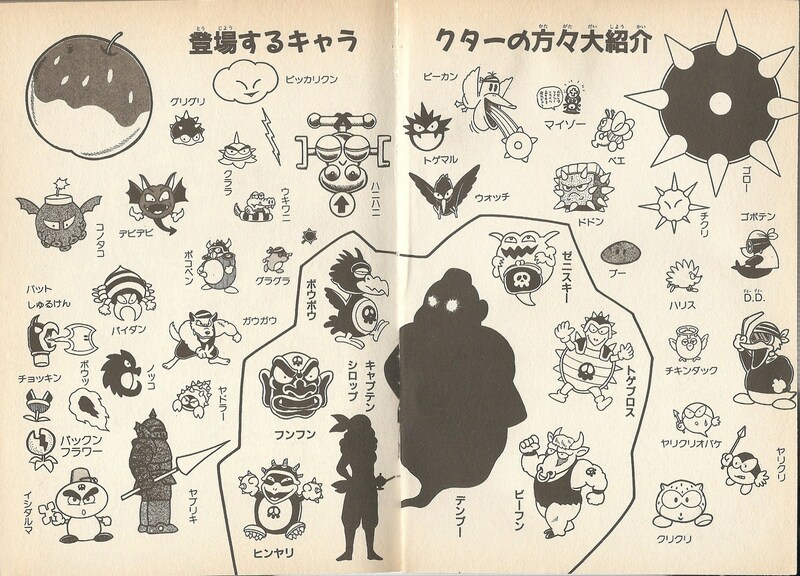 Gaugau reappear in Wario Land II, where they assume another role. In this game, they are stationary enemies, always seen leaning out of windows. When Wario gets to close to their windows, they will start throwing an infinite amount of bottles at him. One hit of these bottles will cause Wario to lose coins and be tossed backwards. Gaugau are usually present in places where the player has to climb narrow platforms, so the thrown bottles act as a great hindrance. This page was last edited on February 3, 2019, at 18:50.